Skype, created by the people who brought you KaZaA, uses innovative P2P (peer-to-peer) technology to connect you with other Skype users. 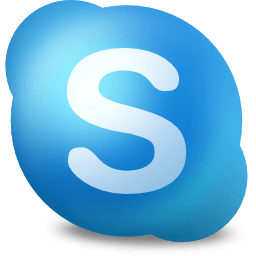 If you are tired of paying outrageous fees for telephony, Skype is for you. We're excited to announce a new beta version for Linux, with extra features and better sound and video quality. This release comes with High Quality Video and super wideband audio that have been exciting features of our Windows and Mac versions; so now the special people in your world will feel much closer and clearer on your Skype calls. We really encourage you to get this version and experience the jump in quality for yourselves. Starting to use Skype has never been easier. Just sign in with your Microsoft account and you are ready to go. After signing in with your Microsoft account, you will have all your buddies from Messenger, Xbox, Hotmail and Outlook.com available in Skype, making them easy to communicate with. If you already have a Skype Name, then you can merge the two and enjoy streamlined communications inside Skype with all of your friends on these services. Now you can IM with your friends with Messenger straight from Skype. This is the first native Linux solution that allows this. Now you can run more than one instance of Skype on Linux simultaneously. Just add the "-- secondary" command line option to launch a second client. We have fully implemented support for the /golive command in Skype for Linux to enable you to more easily host conference calls. Read more about this feature here. Web site developers can build Skype URIs into their pages to initiate Skype chats and calls right from their web pages. These URIs are now supported by Skype for Linux, so when someone surfing the Web clicks on a contact list that contains Skype names or phone numbers, the URI will automatically launch Skype for Linux and initiate a call to the specified target. This version dropped support for direct Alsa support; please install PulseAudio 4.0 or greater for the best calling experience.